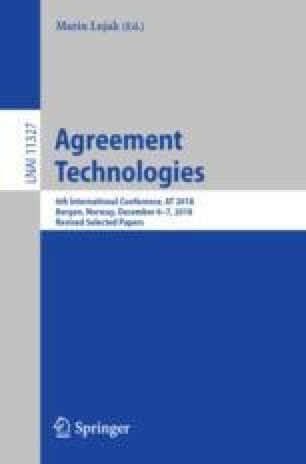 This paper proposes the application of computational social choice mechanisms to establish cooperative behavior within traffic scenarios involving autonomous vehicles. The main aim is to understand the suitability of commonly used voting rules as a potential mechanism for collective decision making in platoon applications considering unreliable communications. To realistically assess the system performance, we designed an integrated simulation platform composed of an agent-based platform, a microscopic traffic and a vehicular network models. Results show the viability of these simple voting mechanism to maintain high satisfaction among platoon members, which that can lead to stable formations and consequently better traffic conditions. However, additional mechanisms might need to be considered for larger platoon formations to timely guarantee consensus between voters. This work is a result of grant UID/EEA/50008/2013 and the project MobiWise (POCI-01-0145/FEDER-016426), funded by the European Regional Development Fund (FEDER), through the Competitiveness and Internationalization Operational Programme (COMPETE 2020) of the Portugal 2020 framework, and by national funds, through Fundação para a Ciência e Tecnologia (FCT) and by FCT/MEC through national funds.